Tips for do-it-yourselfers from our experienced staff. 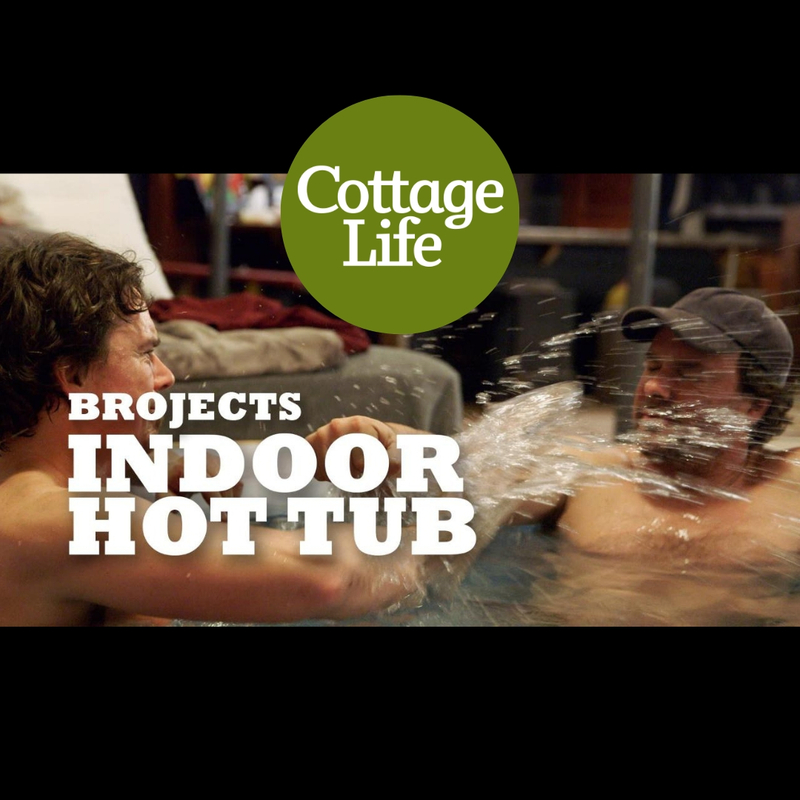 Kevin and Andrew build a hot tub that doubles as a coffee table! 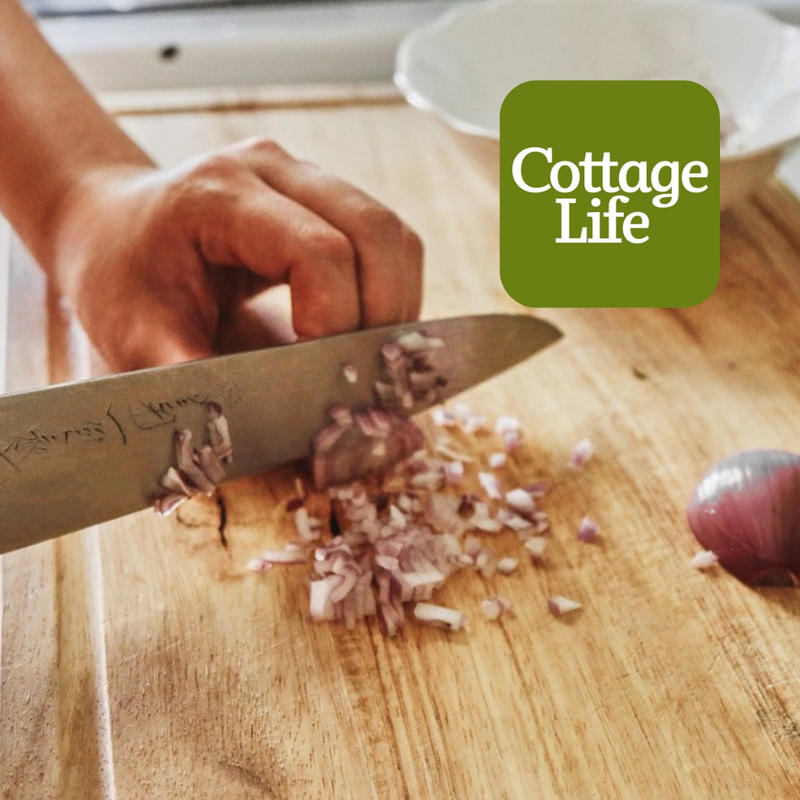 Refinish your kitchen cutting board and breath life into an old design! The Bros have created the ultimate coffee spill solution! The guys build a series of nesting sawhorses that merge together into a table. The guys bring curling to their bar. Your pet will give this project a woof of approval! 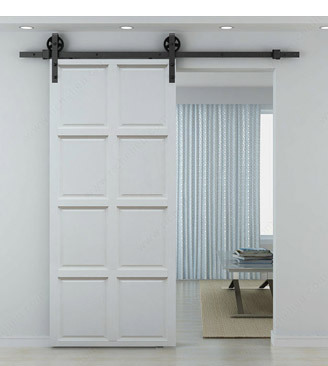 With windows breaking left and right while playing indoor hockey, the guys transform doors into shutters. Andrew builds a tea bar for the ultimate toboggan. The boys take DIY to a whole new level when they put together a beer cart on wheels. 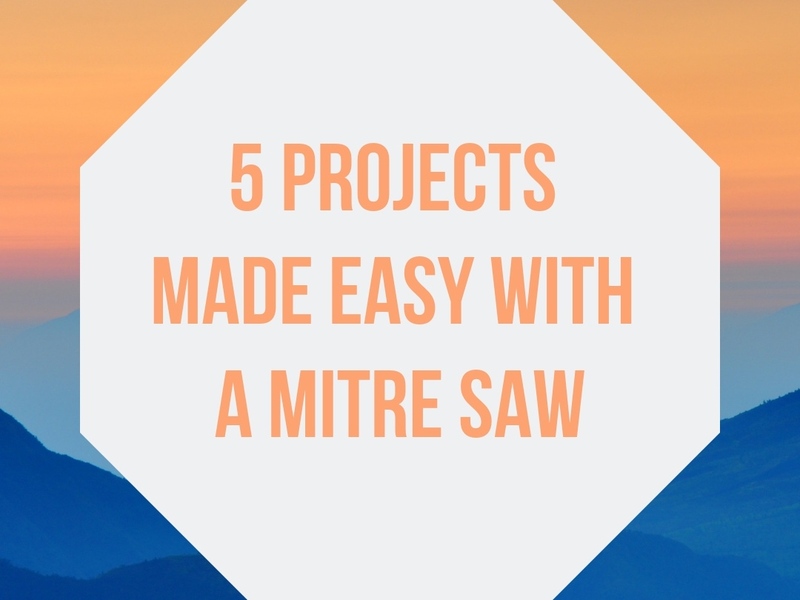 Even amateur woodworkers seem to agree that a mighty mitre saw is a must-have tool in their arsenals. Ready to jump in headfirst and make some mitre magic? 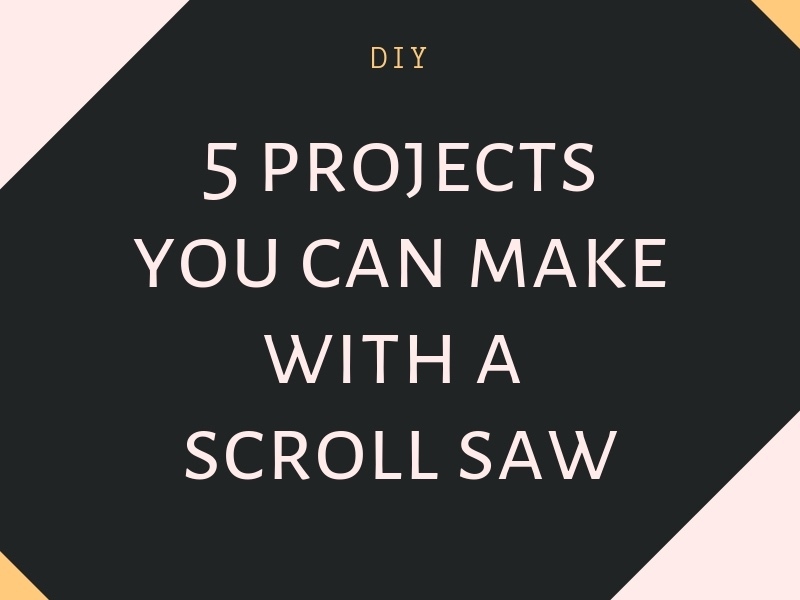 Here are five projects you can make with your shiny new mitre saw. Do something creative this holiday season! 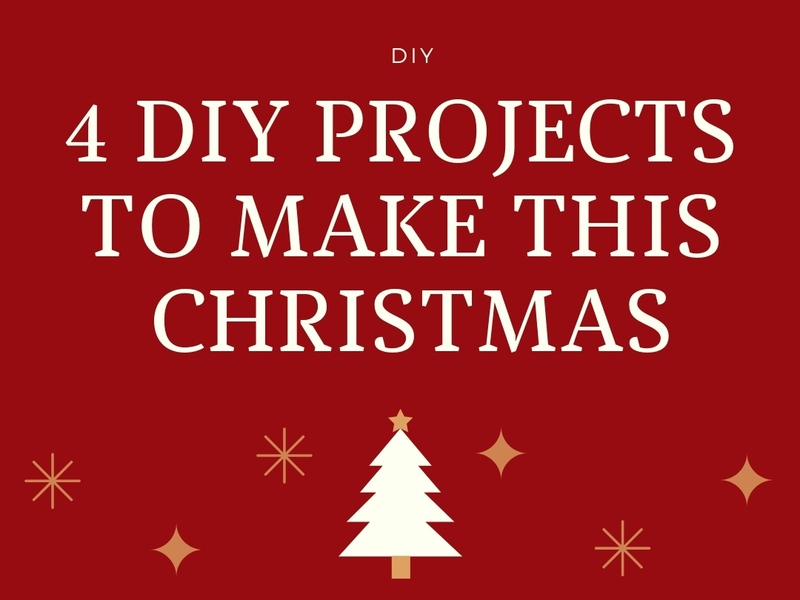 The DIY projects from these fantastic blogs are perfect for decorating your own home or gifting to a friend. Kevin and Andrew build an air hockey table, but instead of air they use ice! Here at TIMBER MART, we think scroll saws are one of the most fun members of the saw family. No, they’re not going to build you a garage or a new deck. But they’re very handy for making decorative projects around the house and even creating unique gifts for friends and family. After the cottage gets double booked for the weekend, brothers Andrew and Kevin decide to make a mini-cottage on wheels. With its a flip-up awnings, pullout counters, portholes and portable combination table/heater/table, the Mobile Mini Cottage is anything but typical. It’s the perfect summer addition! 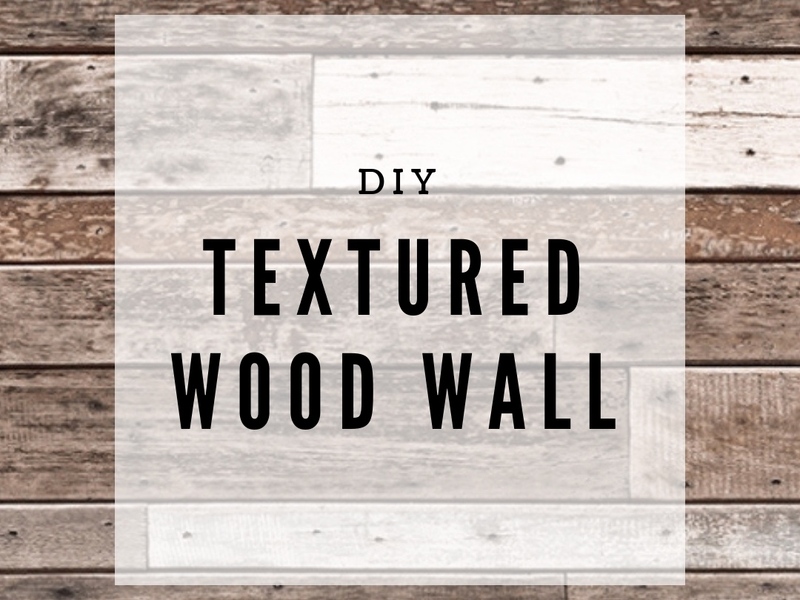 We’re loving the trend of a textured “end” wall, made entirely from the cut ends of wood. It's party time! Follow the steps to discover how Andrew and Kevin turn a potbelly charcoal barbeque, an old oil drum and discarded organ pedals into the Ultimate Pizza Oven. The boys take the mantra "work hard, play hard" to a whole other level by building a work bench that converts to a table tennis table. Best part? It's all done inside a TIMBER MART store. Kevin and Andrew combine the typical cottager's two most favourite activities — water sports and relaxing on deck chairs — to come up with The Chair-Ski. Watch Kevin and Andrew to learn how to build the ultimate outdoor gym! 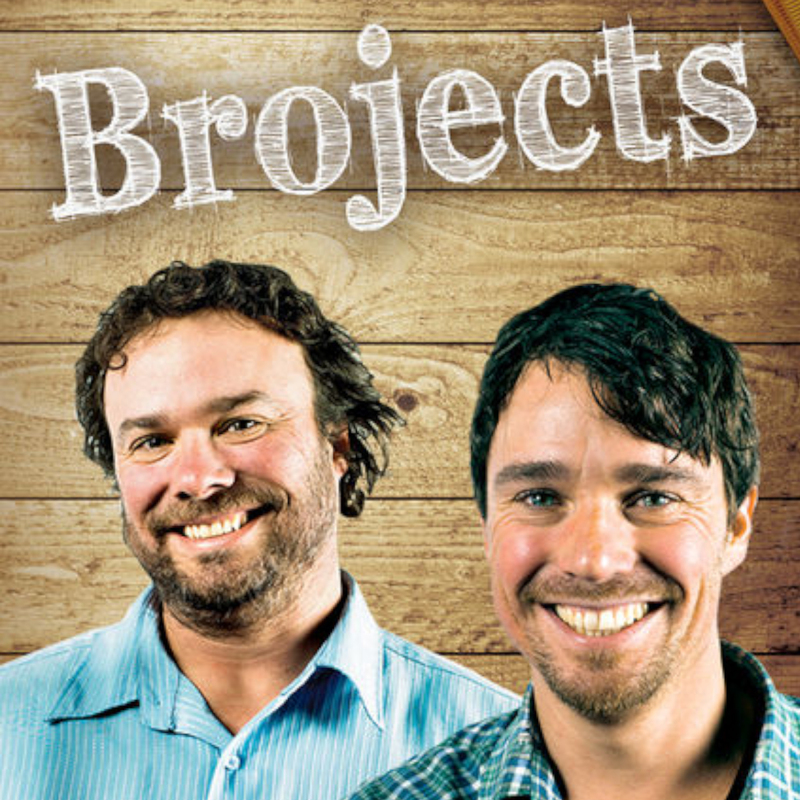 Watch Kevin and Andrew to learn how to build a floating bowling alley! Kevin and Andrew transform a truck cap into the ultimate fishing boat complete with on-board bbq. With their current fixed dock rotting away, brothers Andrew and Kevin retreat to the drawing board eager to fix the situation and build their dream dock. 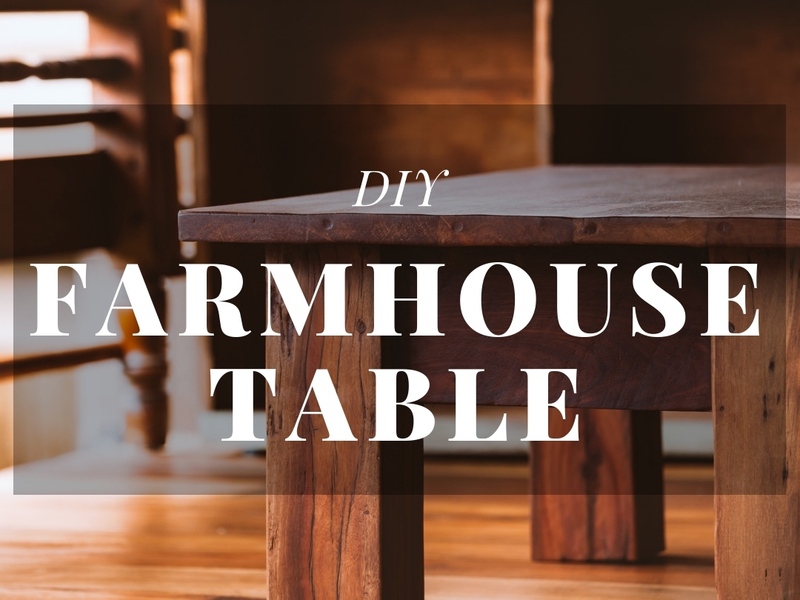 The hockey stick coffee table is one of the easier projects, making it a great place to start if you’re a relatively inexperienced woodworker. Learn how to build a hockey stick bench from Andrew and Kevin from Brojects! The boys lay out a golf course on their snow-covered property and conceive on some innovative ice golfing gear. Watch Kevin and Andrew as they create the ultimate tobaggan! This is what happens when you let Kevin and Andrew loose in a Timbermart. The guys build a dumbwaiter to bring their food and drinks up to the ultimate rooftop patio. Tired of lumber hanging out the back of their truck, the boys decide to build a homemade truck rack to carry lumber. With the clock ticking, they get to quick work to get it built in under 30 minutes. 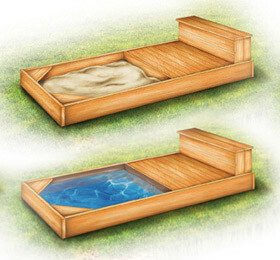 Watch Andrew and Kevin to learn how to build an epic floating sauna! The lake at the cottage is not open for winter fishing so the brothers Andrew and Kevin decide they need a mobile ice fishing shack they can haul into the middle of a frozen lake. 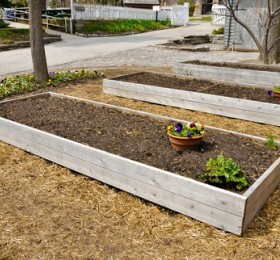 Contained raised garden beds are great for vegetable and herb gardens, as well as flower gardens. 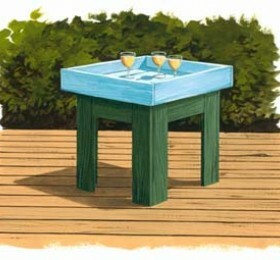 Click "Go" for instructions on how to build this porch table! 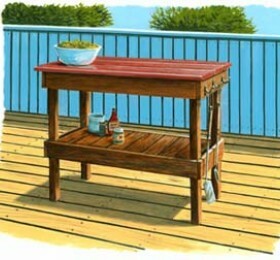 Build the perfect side table for your barbeque! 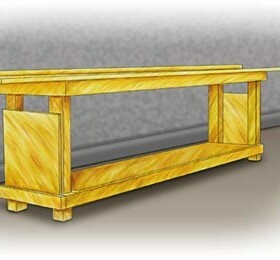 This is a basic plan from which to build a very strong and versatile work bench with lots of room to work. A pegboard can be added easily for extra storage and hanging tools. 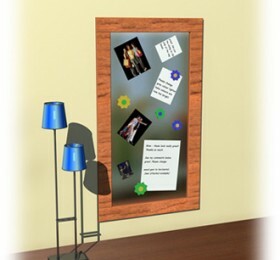 For many of us, refrigerators, or more specifically, refrigerator doors, serve as a convenient place for notes, photos, messages and To-Do Lists. For a smarter way to display and organize stuff, try these easy steps in creating your own magnetic message board. 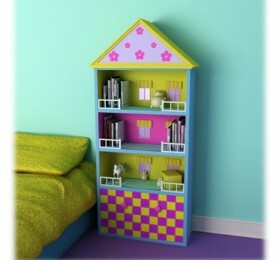 Here’s a step-by-step breakdown of how to make an attractive bookcase or dollhouse. Whether your fence is intended as a subtle backdrop or a landscape focus, whether you want to highlight or perhaps hide your home’s architectural features, the following tips can help you build the fence that fits your lifestyle. 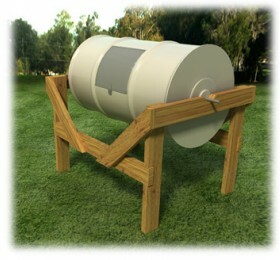 Learn how to create your own backyard composting barrel! This easy-to-build project will provide hours of fun. Whether your kids prefer the sand or the water, this sturdy playdeck can accommodate either. Better yet, build two and enjoy them side-by-side! As summer approaches (and garden excitement grows) it's always fun to make the most of the outdoors, especially do-it-yourself weekend projects like this functional (and comfortable) arbor bench. Following is a detailed outline of the basic steps and recommended materials, but remember: this is your bench, so feel free to make adjustments as you see fit. And as always, be sure to sketch it out beforehand to get a good idea of what's involved. Good luck and happy summer! 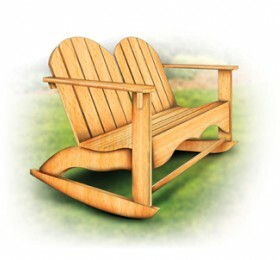 This two-seat Adirondack rocking chair is sure to become a backyard or front porch favourite. 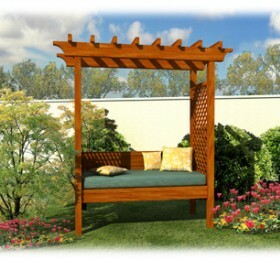 It can be built from inexpensive pine, or a more durable wood to provide many years of enjoyment. Have fun with winter! 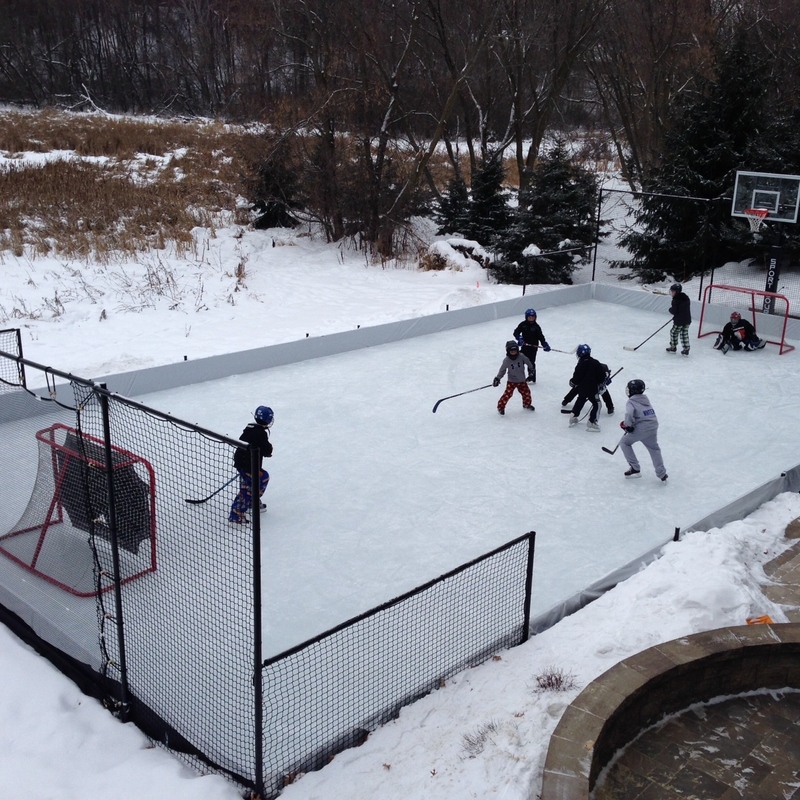 Build your own skating rink in your own backyard. 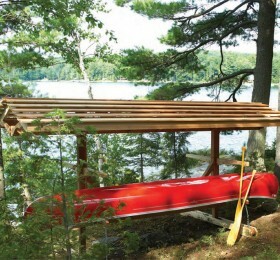 Build your own canoe and kayak rack. 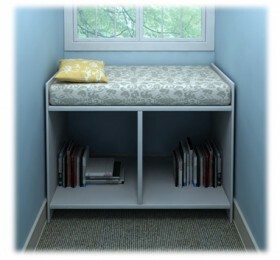 Build your own storage bench with these handy tips!